Why to invest in Mainframe? Mainframe companies have a big advantage on the financial market. They are robust and predictable. That's why investing in the Mainframe is a valid option. Investing, not speculating. In other words, you may consider acquiring stocks from companies in the Mainframe market, for long term investment. Because the fruits are the dividends, like in a good old stable factory. Although classified in the IT market, Mainframe companies are no start-ups, they are not good for day-to-day (or hour-to-hour !) speculation. Consider this: you may place your savings in a bank, but the interests are not very substantial. Often, the interests will be lower than the inflation (varying by country). So you actually lose money over time. Buying stock options implies risk, so you need to be careful with your life's savings. Mainframe companies have years (decades) of financial history that can be considered: average price over the last X years, variations in the stock price, amount of the dividends, stability of dividends... If you are looking for a way to invest a part of your savings, more profitable that a bank saving account, you may have a look at stocks. Stocks that generate predictable dividends. High dividends. Stocks which price does not fluctuate like a yo-yo: you want to be able to sell your stocks, without losing money. Stable stock price, high & predictable dividends: Good combination for long term stock investment. Mainframe. Disclaimer: I am no financial consultant nor any kind or financial professional, the above article is a summary of my candid thoughts on the topic. Data in the table are a quick assessment of stocks based on data publically available on http://www.nasdaq.com/. Concerns & critics are welcome. Why should young IT professionals start their career on Mainframe? If you just finished university with a degree in Computer Sciences, you are probably looking for a job… and if you are reading this article, you are probably still searching. Although you might not even know what a Mainframe is, you might want to consider a career on the “big iron”; and here is why. The mainframe is a 40+ years old platform and most software are written in low-level languages such as assembler or Cobol. Granted. As much as it appears non-attractive, it is a real opportunity: while most of the world data and processing resides in Mainframes, Mainframe professionals (so called “Mainframers”) are close to retirement. The equation is simple, IT talents with such knowledge will be rarity in the very near future, and biggest fortune companies will crave for them. But … do not think mainframe is solely legacy. In fact, lots of new projects exist on Mainframe, most of which use Java, C, or C++. The new trend of “virtualization” is a notion which exists since decades in the Mainframe world. If you think about it, Mainframe systems are nothing else than a private cloud: Mainframe means enormous amount of data, incredible processing capabilities, and very high security (who even ever spoke about a virus on Mainframe?). Mainframe also rimes with green computing, since it uses much less energy than other platforms, because 1 Mainframe can support a workload equivalent to thousands of distributed servers. In a few words, it is cool to work on Mainframe! I recently met a DB2 user who was interested in monitoring and analyzing DB2 performance. 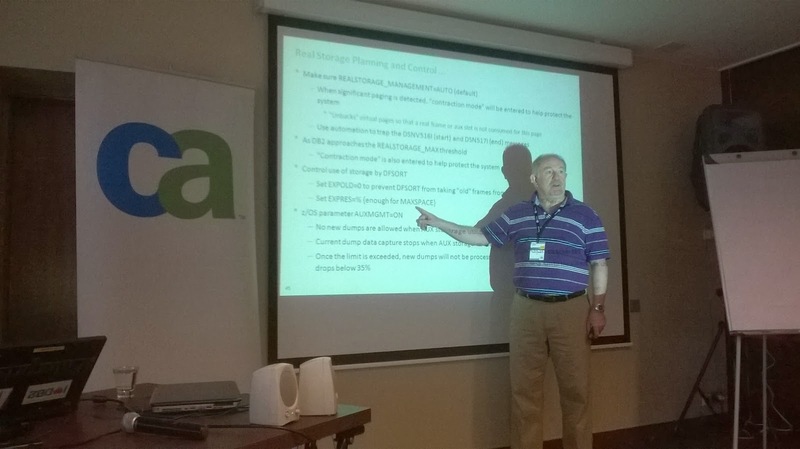 He is a DB2 DBA, and he was especially interested in monitoring SQL transactions (figuring out high consumption). Collecting and analyzing DB2 performance data is one of the main role of Database Administrators, and it’s a complex activity. 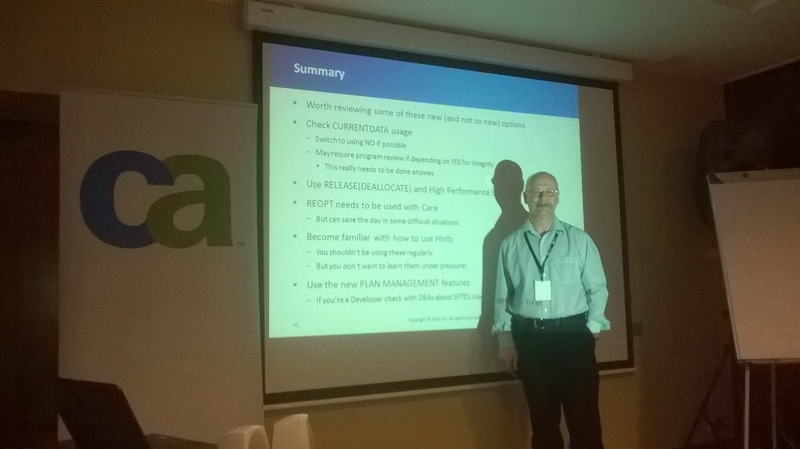 Because a video is worth a thousand words, I suggest you have a look at a presentation called Top 10 Tips for Collecting and Preparing DB2 Performance Data. You will need to enter a few contact details to receive the link via e-mail. More specifically, one of the tool that Database Administrators can use for collecting and analyzing DB2 performance is CA Detector® for DB2 for z/OS. By using CA Detector, you can capture every single SQL statements executed so you can get the full picture either because you want to do chargeback, trending, locate the biggest performance hits, or find the low hanging fruit to optimize to get the biggest bank for the bucks. You can also exclude the data collection specific transactions, SQL statements, or plans … to save some resources. If you want to know more about CA Detector, you may also have a look at the product manual. To complete this topic, there are various presentations regarding DB2 v11 Performance being held at IDUG, and various Regional User Groups. 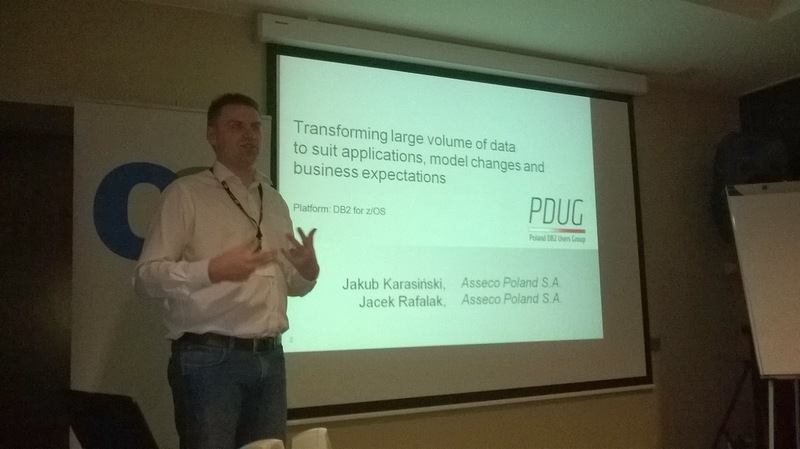 Greetings from Piaseczno, where the PDUG event is ongoing. I must say that the event is very well organized, PDUG has even a newsletter (paper version, containing technical articles from their users). The sessions are interesting, here some pictures you may enjoy below. 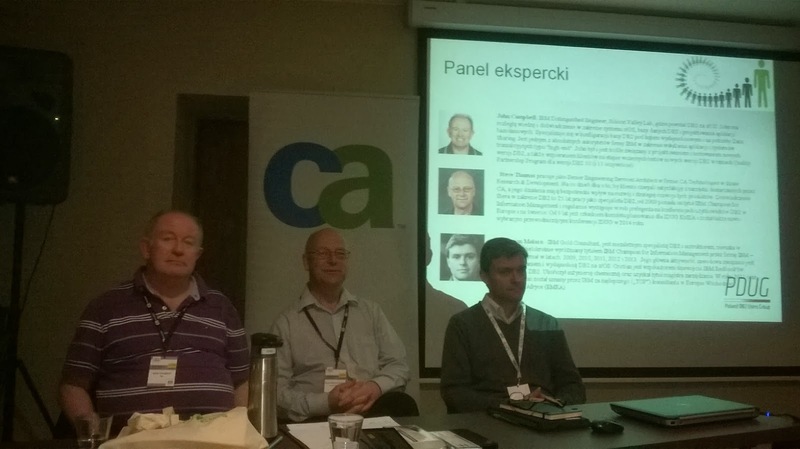 The new Polish DB2 Users Group was awarded "Best New User Group 2013" during the last IDUG in Barcelona. This regional user group is announcing yet another conference on March 6th and 7th. Are you a qualified DB2 specialist? Do you want to discover what DB2 is or what it can do for you? Are you an experienced DBA in environments other databases and need support in DB2 for a new project? Are you interested in what role it can play a DB2 architecture of your business? è Join the PDUG conference ! If you attend the event, register [here] to have a chance to win a FREE pass for the next IDUG conference in Prague !